Pamela Jones, ACCION client and owner of the International House of Sauces & Seasonings, Inc. Pamela and her assistant provided samples of delicious chicken wings, stir-fry, and dipping sauces. One Good Deed Chicago was honored to be part of an evening celebrating small business success — the 2011 Taste of ACCION on Nov. 14. ACCION Chicago is an alternative lending organization dedicated to providing credit and other business services to small business owners who do not have access to traditional sources of financing. By encouraging the economic self-reliance of microentrepreneurs throughout the Chicagoland area, ACCION Chicago strives to help businesses and communities grow. The event featured tasting stations from many of ACCION’s clients, like 5411 Empanadas, Masala Indian & Thai and Bleeding Heart Bakery. These local businesses did not have access to traditional financing through large banks, and ACCION was able to provide them with the capital to grow. 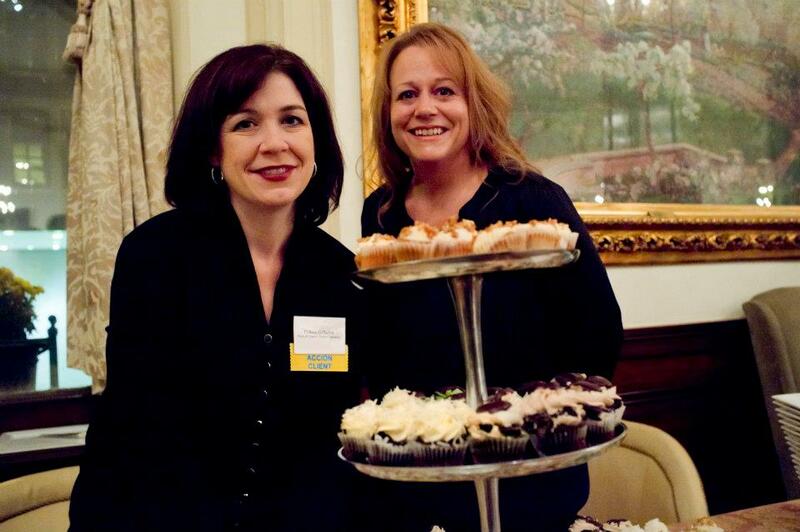 Colleen Gallagher and Netta Stella, ACCION clients and owners of Pecan & Charlie's Mobile Cupcakery, with a few of their delicious mini cupcakes. The Founder and CSO of Threadless Jake Nickell delivered the keynote speech, telling his small-business success story. The evening was an inspiring reminder of the importance of supporting small business. The entrepreneurs who have the courage to start businesses are creating our economic future! To find out more about ACCION, including how you can volunteer to support small business in Chicago, visit their profile on the One Good Deed Chicago website. Photos used with permission of ACCION Chicago. 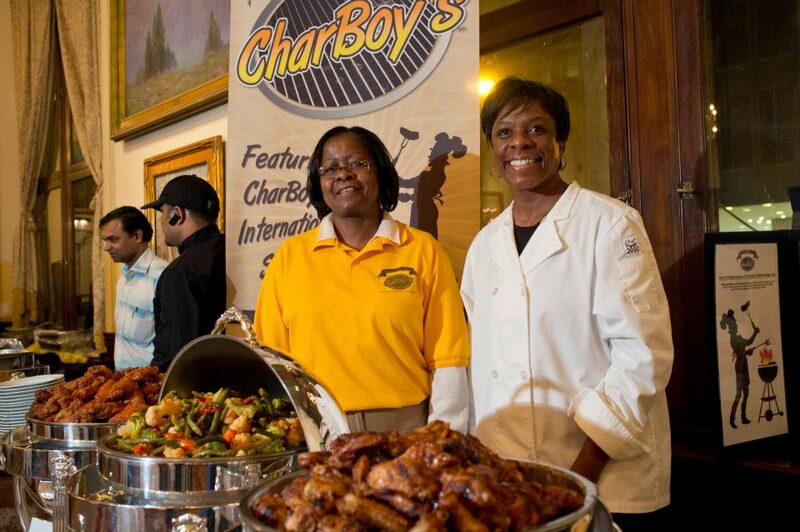 This entry was posted in events, fun, nonprofit, volunteerism by onegooddeedchicago. Bookmark the permalink.